The Bevington Bistro is a relaxed and exciting place for children to come and enjoy their lunch. Children are encouraged to enjoy their food and the social activity of sitting down and eating lunch with their friends. 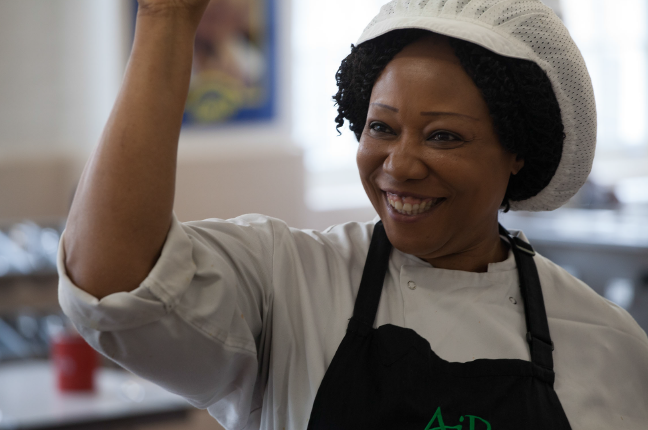 Alongside this within school we educate the children even more about where their food comes from, what a healthy balanced diet is and how to cook meals for themselves. We have consulted with the children about how they would like lunch to be and visited other schools with our Head boy and girl to see what they offer. Our lunch menu works on a monthly cycle so that there is constant variety. This allows children to experience a range of dishes as well as comforting Bevington favourites. The kitchens cook with fresh, locally sourced fruit and vegetables. We also use high welfare meat and sustainable fish. Changes or queries must be directed by the parent to the school office please not via your child to the class teacher. Parents have the option to change their child’s meal option each half term – day to day changes are not permitted except in the case of family emergency. 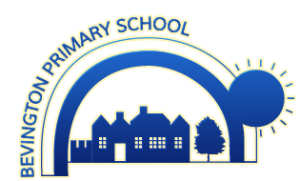 School meals are paid for online using our school gateway app – £11.00 on a Monday. You are welcome to pay by the half term in advance. Free School meal entitlement must be renewed when a reminder is sent, you have two weeks to supply the necessary paperwork, then you must pay or provide your child with a packed lunch. We can only accept a current Child Tax Credit Form (T602) showing that you are not entitled to Working Tax Credits or a current letter from Income Support naming the child that you are claiming for. Packed lunches should be sent with your child at the start of the day and will be stored in the lunch hall until they are needed. The children eat in mixed groups so they can socialise and chat with all of their friends.